Distress Centre is grateful to Donate a Car Canada for helping ensure that we can provide 24 hour support, counselling and resource referrals to anyone in crisis. Every 4 minutes, 365 days a year, a call is received on our Crisis Line at 403.266.HELP (4357). All callers to our lines receive non-judgemental, caring support and access to a network of care from one of our highly-trained volunteers. For more complex issues, professional crisis counsellors are available to provide no-fee, face-to-face counselling for individuals, groups, and families. Through our youth peer-to-peer support program, ConnecTeen, youth can receive confidential peer support services over the phone or through on-line chat and e-mail. Callers also have access to an entire network of community, social, government and health programs in Calgary and area by dialing 2-1-1. 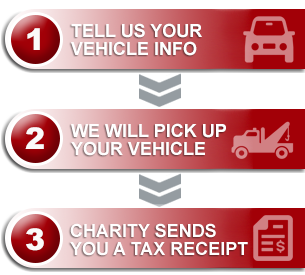 If you choose to support Distress Centre by donating your old or unwanted vehicle through Donate a Car Canada, your generous donation will go towards helping us continue to provide free 24 hour support for anyone experiencing crisis, whatever that crisis may be. Thank you Donate a Car Canada for supporting Distress Centre and our community through this innovative program!